From Top 20 bestselling author Parker S. Huntington comes a steamy, slow-burn love story full of enemies-to-lovers banter and secret roommates. 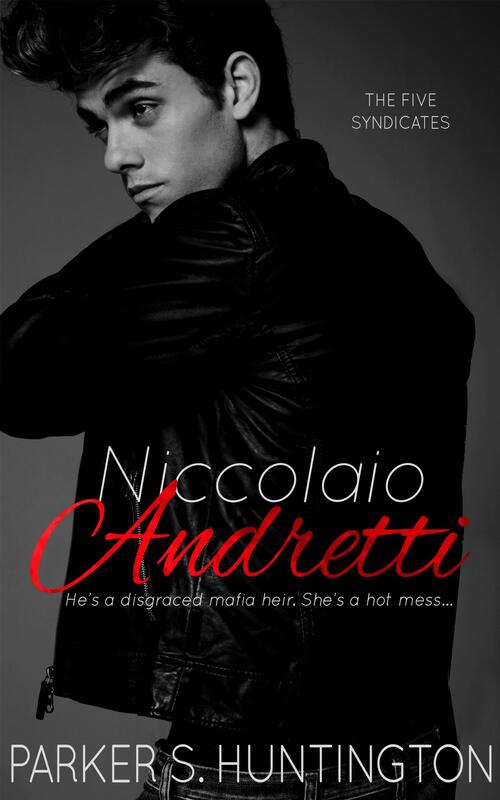 He has a million-dollar bounty on his head. She's fighting for her sister. Dating men for money isn't what most girls dream of doing when they grow up. But after graduating from college, I can't seem to catch a break. Not even a couch to dig for change under. If I don't find a job and a place to live fast, there's no way I'll be able to adopt my little sister from foster care. And dating a trust-fund baby twice my age for his money. Who cares if we have no chemistry? Who cares if I hate his hot, mysterious neighbor who pushes my buttons every chance he gets? Who cares if his neighbor stares at me like he's picturing me in his bed? Then, Mr. Money Bags dumps me. I get shot at by strangers. And the arrogant neighbor I loathe? I should cut my losses and be grateful I'm still alive. Instead, I do something crazy. I blackmail him into letting me be his roommate. 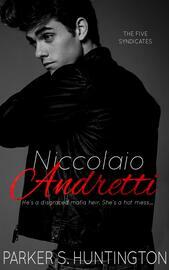 Niccolaio Andretti is a 80,000-word standalone novel in The Five Syndicates mafia romance series.